Physically, FOTOCAT is an Excel spreadsheet of UFO and IFO cases where an image has been obtained on photo, film or video. It contains various data columns to register the date, time, location, province and country, explanation (if one exists), photographer’s name, special photographic features, references, etc. When completed, the full catalogue will be posted on the Internet, for public access by the worldwide UFO community. The expanding trend of the catalogue has slowed a little since the last progress report, basically due to the high investment of time required by the preparation of the FOTOCAT Report #4 (see below). However, FOTOCAT database contains to date 8,577 entries. After several months of intense research work (literature and archive search, data compilation, case study, and statistical analysis) performed by first author, Vicente-Juan Ballester Olmos, and co-author Ole-Jonny Brænne, a talented Norwegian UFO researcher, FOTOCAT Report #4 has been finished. 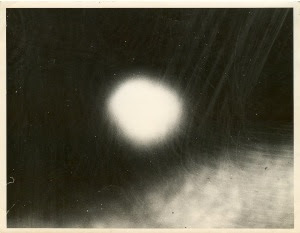 It is entitled Norway in UFO Photographs: The First Catalogue. 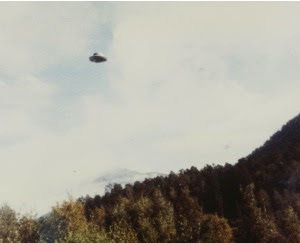 The report collects, summarizes, reviews and analyzes 744 photographic UFO events which occurred in Norway from 1909 to 2005, including 479 examples of the so-called Hessdalen Phenomena. For the first time ever, a survey in depth has been done to all the known UFO sightings in Norway where a photograph, film, or video has been obtained. As a Word.doc file: http://www.box.net/shared/ff8ilhzms8 (54.8 MB. Please note that downloading can be slow. Please be patient). This section reports contributions received from new collaborators (or from regular ones whose most recent contributions are considered outstanding). In addition to the new names cited here, many others are regularly contributing to the enlargement of FOTOCAT. Input on specific cases, additional reports or any sort of collaboration has been recently received from old and new friends and colleagues, Dr. François Louange (France), Wim Van Utrecht (Belgium), Didier Gomez, director of the French magazine UFOmania, Michael Tarbell (USA), Pablo Petrowitsch (Chile), and David W. Akers (executive director, Willard J. Vogel Study, Seattle, Washington). This section will display a sample of UFO sightings directly reported to FOTOCAT. While web browsing recently I came across a UFO video at http://www.ovnisantacoloma.blogspot.com/ This two-minute plus video recording was made by Germán Catalá on May 18, 2007 at 18,30 hours in the town of St. Coloma de Gramanet, Barcelona province, and shows a weird flying structure slowly moving over the building roofs. Thanks to the kind services of Jordi Martínez Simón, an ufologist and friend of the witness, we have acquired both enlargement photographs and a copy of the actual footage. 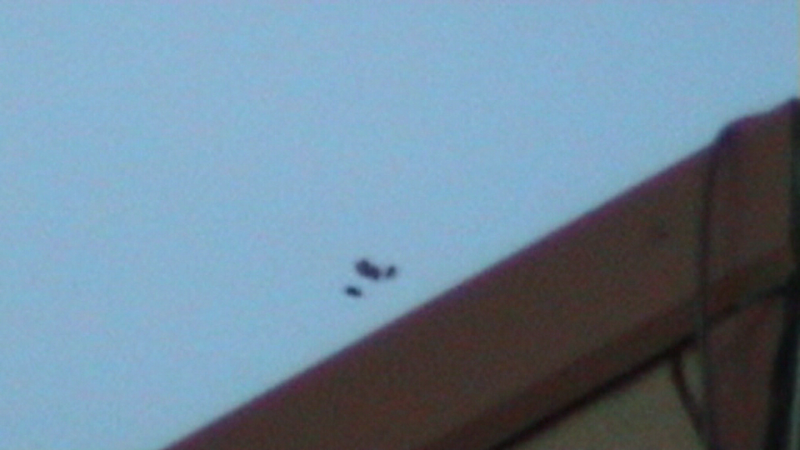 Detail enlargements of the UFO sighted and videotaped over St. Coloma (Barcelona), May 18, 2007. © Germán Catalá. Originally moving to the northwest over several minutes and looking like just a dark point to the naked eye, then a change to northeast to “accelerate”. This seems to be an object hanging from some balloons. Even in some portions of the video you can see the strings that hold the object. The object cannot be too far away because otherwise you would see it clearer, due to light dispersion. Probably it is not beyond 1,500 meters, or even nearer, yet not very near to the building as both show differences in focus. Having done an analysis of the perspective, the horizontal visual field when zoom is at the minimum is 25; therefore one can calculate an approximate angular size of the balloons-object set as 0.07. It means that if it was placed at 1,500 meters its actual size would be a little less than two meters. Probably this is the most probable range of size and distance. Perspective Analysis. Graph by A. Duarte. One of the responses (#17) to a “call for reports” on ball lightning cases we have made recently has provided information on video footage obtained by a cameraperson we will name M.A.E.R., while taping some aircraft at the Armilla Air Base in Granada (Spain) during a flight championship he was witnessing. 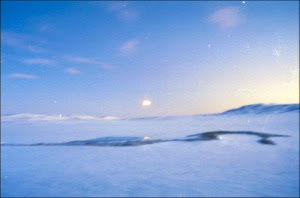 When he downloaded the video into his computer of some scenes taken at 11:43 am on June 29, 2007, he discovered the movement of a dot of light for one second when the screen was showing a fighter jet and the radiant sun crossed the scene. The cameraman placed a videoclip on YouTube (not online anymore at this writing). My informant did not see anything when taking the video, and he was surprised not to have found this circle of light in any other of the several videos he recorded that morning. I am fairly certain this is a lens flare. The clues are that a line drawn from the sun to the flare always goes through the optical axis (the centre of the frame), and the distance (a) from the sun to the centre of the frame and (b) from the flare to the centre of the frame are covariant. As an aid to on-the-job UFO investigators, we are listing here a number of links to a Spanish-language web site by the well-respected Mexican researcher Luis Ruiz Nóguez, covering some atmospheric luminous phenomena which tangentially have a relationship with certain cases of UFO observations. • Do Camera phones Mean the End of the UFO Phenomenon? 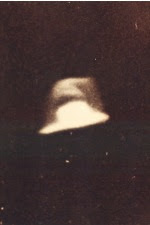 As Manuel Borraz has noticed (see below), there is a certain resemblance between the faked picture made by A. Baraúna in 1954 (left), and his later 1958 Trindade UFO (right). A pure coincidence? (3) The following five books by Vicente-Juan Ballester Olmos –all of them out of print– can be purchased as a unique package by 100 € (or 130 US dollars) plus shipping costs. The books will be signed by the author. The report is in Spanish. The dossier also contains the correspondence held and questionnaires received from the main source (Captain Sáez-Benito). It discloses some recent findings and official correspondence from the Balloon Service of the French CNES (Space Studies National Center) and the Spanish MACOM (Air Combat Command) as well. Físicamente, FOTOCAT es un archivo de Excel de casos OVNI y OVI para los que se ha obtenido una imagen en fotografía, película o vídeo. Contiene diversas columnas de datos para registrar la fecha, hora, lugar, provincia y país, explicación (si existe), nombre del fotógrafo, características fotográficas especiales, referencias, etc. Cuando se haya completado, el catálogo completo se hará accesible desde Internet para la libre consulta de toda la comunidad ufológica mundial. La hasta ahora rápida expansión del catálogo se ha visto algo desacelerada últimamente. Ello se ha debido, entre otras razones, a la gran inversión de tiempo consumido por la preparación del Informe FOTOCAT #4 (ver debajo). Así y todo, la base de datos FOTOCAT ha alcanzado a esta fecha un total de 8,577 informes. Tras muchos meses de intenso trabajo, que ha incluido búsqueda en archivos y revisión de literatura, recopilación de datos, estudio de casos y análisis estadístico), ejecutadas por el primer autor, Vicente-Juan Ballester Olmos, y por su coautor, Ole-Jonny Brænne, un distinguido investigador noruego, se ha finalizado el Informe FOTOCAT #4. Su título es Norway in UFO Photographs: The First Catalogue. Este ensayo recoge, resume, revisa y analiza 744 sucesos OVNI fotográficos acaecidos en Noruega de 1909 a 2005. Entre ellos, hay 479 ejemplos de lo que se conoce como los “fenómenos de Hessdalen”. Por primera vez se ha desarrollado un estudio en profundidad sobre la casuística de Noruega en la que se han obtenido registros en foto, película o video. Como archivo Word.doc: http://www.box.net/shared/ff8ilhzms8 (Se trata de un archivo de 54,8 MB, por lo que la descarga puede ser lenta dependiendo de la velocidad de download de su equipo. Sea paciente). Recientemente hemos recibido colaboración e informaciones varias de viejos y nuevos amigos y colegas: Dr. François Louange (Francia), Wim Van Utrecht (Bélgica), Didier Gómez, director de la revista francesa UFOmanía, Michael Tarbell (EE.UU. ), Pablo Petrowitsch (Chile) o David W. Akers, director del proyecto Willard J. Vogel (Seattle, Washington, EE.UU.). Encontramos un curioso video OVNI en esta fuente de internet: http://www.ovnisantacoloma.blogspot.com/ Se trata de una filmación de dos minutos hecha por Germán Catalá el 18 de mayo de 2007, a las seis y media de la tarde, desde la población catalana de Santa Coma de Gramanet (Barcelona), que hacía aparente una extraña estructura volante que se desplazaba sobre los tejados de los edificios de la ciudad. Gracias a la amabilidad del ufólogo local y amigo del testigo Jordi Martínez Simón, recibimos tanto fotografías ampliadas como copia completa de la videograbación para estudio. Detalles ampliados del supuesto OVNI filmado sobre Santa Coloma (Barcelona) el 18 de mayo de 2007. © Germán Catalá. Originalmente pareció moverse hacia el noroeste durante varios minutos y cuando ya sólo era un punto oscuro al ojo humano, dio la impresión de cambiar de rumbo al noreste y “acelerar”. Parece ser un objeto colgando de unos globos. En algunas partes del video incluso se ven un poco las cuerdas que sujetan al objeto. El objeto no puede estar demasiado lejos, porque de otra manera se vería de un color más claro a causa de la dispersión de luz. Probablemente no esté a más de 1.500 metros, también podría estar mucho más cerca, pero no muy cerca del edificio porque ambos presentan diferencias de enfoque. De acuerdo a un análisis de perspectiva el campo visual horizontal en los momentos de menor zoom es de unos 25°, entonces uno puede hacer algunas comparaciones y calcular un tamaño angular aproximado del conjunto objeto-globos de 0.07°. Eso significa que si estuviera a pocas manzanas de distancia su tamaño sería de sólo algunos decímetros, y si estuviera a unos 1.500 metros de distancia su tamaño sería un poco menor a los 2 metros. Creo que ese es el rango probable de distancia y tamaño. Análisis de perspectiva, gráfico ejecutado por Andrés Duarte. No creo que fuera importante hacer un análisis de perspectiva en este caso, pero lo hago porque es un ejemplo muy didáctico. Ese edificio, al igual que la mayoría de los edificios, tiene líneas que son todas paralelas o perpendiculares entre sí y con el horizonte y el cenit. Entonces se puede trazar una perspectiva de tres puntos extrapolando las líneas hasta que se crucen en los puntos de fuga. Los dos puntos de fuga inferiores están en el horizonte separados por 90° y el punto superior está en el cenit. Comparando las proporciones del video con las distancias entre los tres puntos se puede determinar el campo visual y el ángulo de elevación, que en este caso resultan ser ambos de unos 25°. Este método no es muy exacto porque es difícil extrapolar las líneas con precisión y porque la perspectiva real presenta algunas distorsiones respecto al modelo usado, pero los resultados son razonables. En la figura adjunta está el análisis, donde se aprecian las inexactitudes de la extrapolación y el fotograma está rotado porque la cámara estaba inclinada y eso se nota en que el punto de fuga superior debe estar justo arriba apuntando al cenit. Una de las respuestas –concretamente el formulario número 17– a una solicitud de informes de casos de rayo en bola que hicimos recientemente ha proporcionado información sobre una grabación hecha por un aficionado cuyas iniciales son M.A.E.R., mientras grababa varios cazas en una competición aérea en la base aérea de Armilla (Granada) que estaba presenciando. Cuando bajó en su ordenador las imagenes conseguidas a las 11,43 de la mañana del 29 de junio de 2007, descubrió el movimiento de una luz puntual durante un segundo cuando la pantalla mostraba el avión de combate y un sol radiante se cruzaba en la escena. El camarógrafo colocó un clip del video en YouTube (retirado en estos momentos). Mi informador no vio nada fuera de lo común cuando sacó el video, y lo que le sorprendió es no haber hallado este circulo de luz en otros de los varios videos que tomó aquella misma mañana. Estoy convencido de que es un reflejo en la lente (lens flare). Las claves son que si se dibuja una linea desde el sol hasta el reflejo, ésta siempre pasa por el eje óptico (el centro del fotograma), y que la distancia (a) del sol al centro del fotograma y (b) del reflejo al centro del marco, son covariantes. Como herramientas de ayuda práctica al investigador OVNI, hemos creído oportuno presentar una lista de enlaces a distintos ensayos publicados en la página web del notable estudioso mejicano Luís Ruiz Nóguez, que versan sobre fenómenos atmosféricos luminosos que pueden tener relación tangencial con ciertos avistamientos OVNI. • ¿Significan los móviles con cámara el fin del fenómeno OVNI? Como ha observado Manuel Borraz, no se puede negar una cierta semejanza (ver siguiente ilustración) entre la foto trucada por A. Baraúna en 1954 (izquierda) y su OVNI de la Isla Trindade de 1958 (derecha). ¿Pura coincidencia? (Haz clic en Download y con el botón derecho del ratón guarda el archivo de audio en el destino que elijas). (3) Los siguientes cinco libros de Vicente-Juan Ballester Olmos –todos ellos agotados- pueden adquirirse en bloque en una ocasión única por el precio de 100 € más gastos de envío. Los libros estarán autografiados por el autor. Aquellos interesados pueden escribir a fotocat@anomalia.org (Asunto: “Libros”). Además de incluir un artículo mío recientemente publicado en la revista “Más Allá”, se han añadido algunas fotografías complementarias. Este informe contiene, por vez primera, los documentos originales de la correspondencia y cuestionarios de uno de los pilotos, así como resultados de indagaciones hechas recientemente con organismos científicos y militares, concretamente con el servicio de globos sonda del CNES y con la jefatura del MACOM.